You may remember a few weeks ago I launched a little project asking you to show me how HomeSense products had brightened up your home. We wanted to see how you had brought your home to life with the great pieces you had discovered on your trips to HomeSense stores. To begin with, I shared how I’d found a few wonderful treats to revamp my living room fireplace area. It needed a little TLC and I was thrilled with the end result. 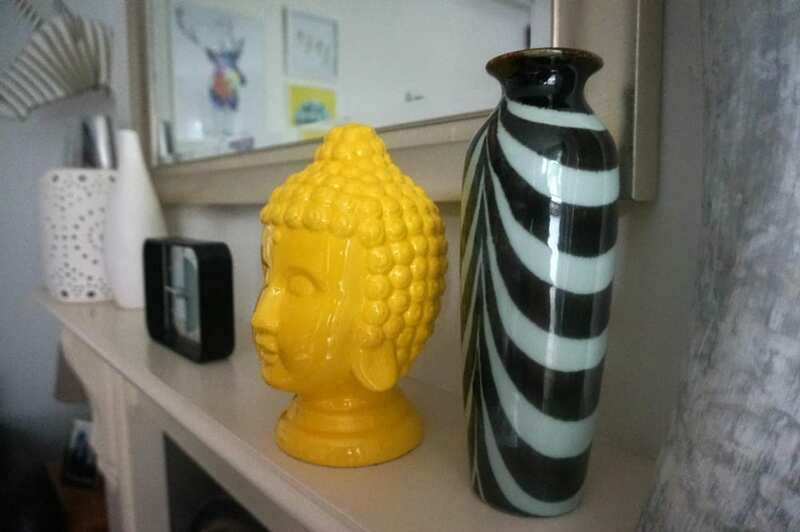 I am particularly fond of my yellow Buddha head. I asked you to share your images with me over on Twitter and Instagram, and I was thrilled with the results. Apart from anything else, it’s great to have a little peak into people’s homes and see how they go about styling their home accessories. It gives me great inspiration and I love how diverse everyone’s taste can be. Kerry shared her framed notice board and I just love how this one piece can bring together so many memories as well as offer something practical. Claire’s corner has been brought to life with the clock and white pot unifying the monochrome theme. Karen has set the glamorous theme for her bedroom with this stunning art decor looking mirror from HomeSense. 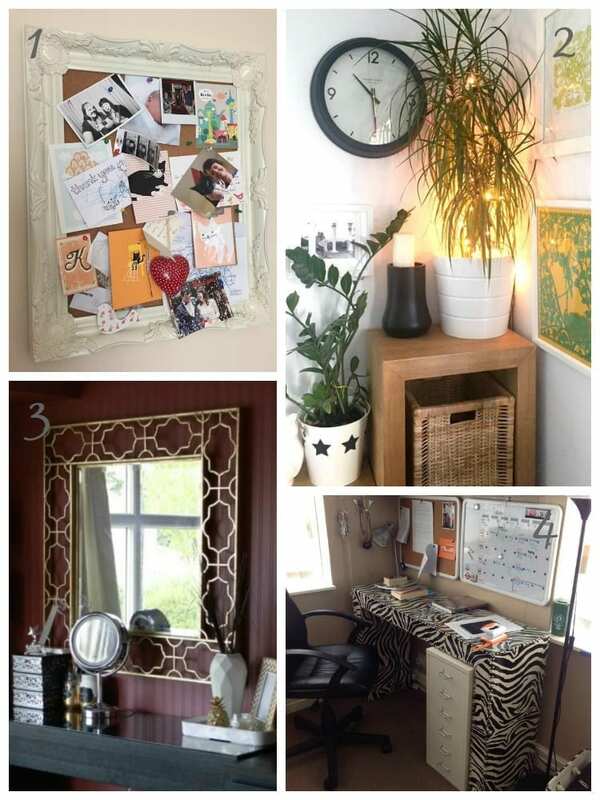 Sharon blew me away with her animal print desk which she personalised to create her very own, bold and beautiful work area. 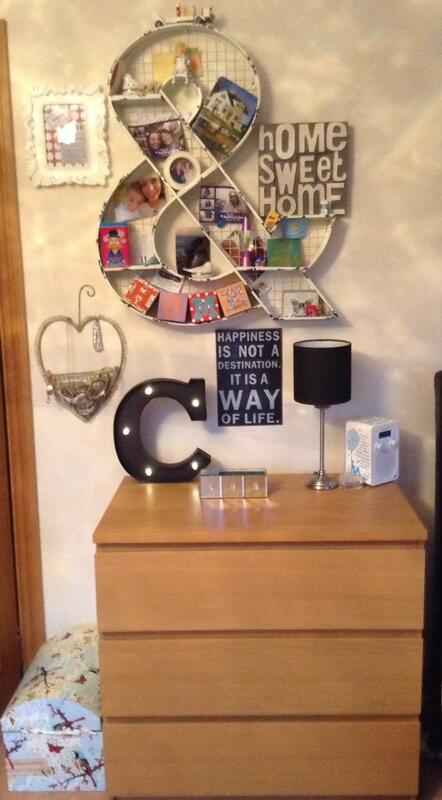 Congratulations to Gemma who has created this personal, fun and inspiring corner, which I think is in her bedroom. The ampersand has been put to great use as a storage and display area, combined with the metal typography plate and illuminated letter. Such great finds! Well done Gemma, we hope you have great fun spending your prize. Thank you so much to everyone who entered, we had a great response and I know everyone at HomeSense loved seeing your homes too. Lovely to have a peek into people’s homes – and how individual they all are. I love the mirror in Karen’s bedroom and am still urging HomeSense to open a branch near me! (though I have been picking up some nice things in TKMaxx).